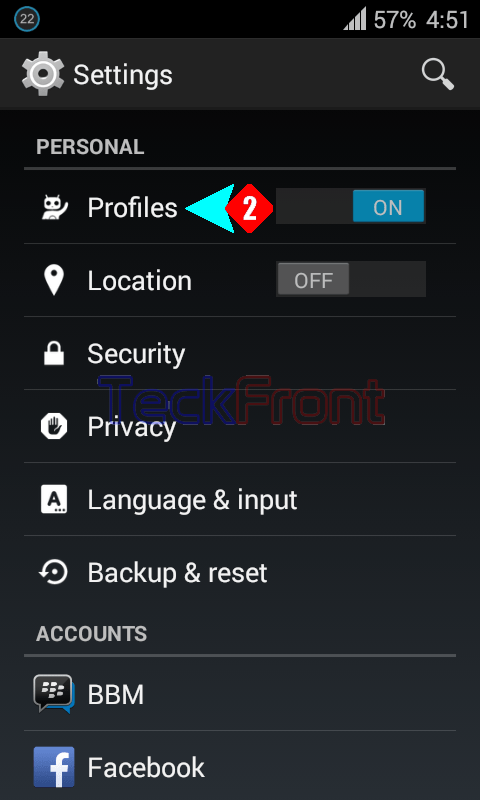 Adding new profile or deleting existing profile in the Android 4.4.4 KitKat phone, according to you requirements and / or choice is a feature which has been recognized and made easier. You may change / add / delete any profile according to your choice by following a few simple instructions. Command Line: Settings > Profiles. 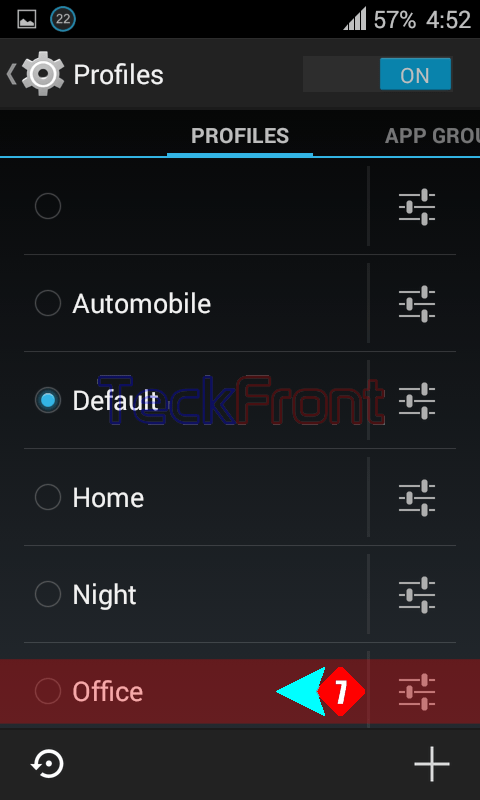 1: Tap the ‘Settings’ to open up the settings screen on Home screen of your Android 4.4.4 KitKat phone. 2: At the ‘Settings’ screen, tap the ‘Profiles’. It will open up ‘Profiles’ screen. 3: At the ‘Profiles’ screen, see the profile is et by ‘Default’. 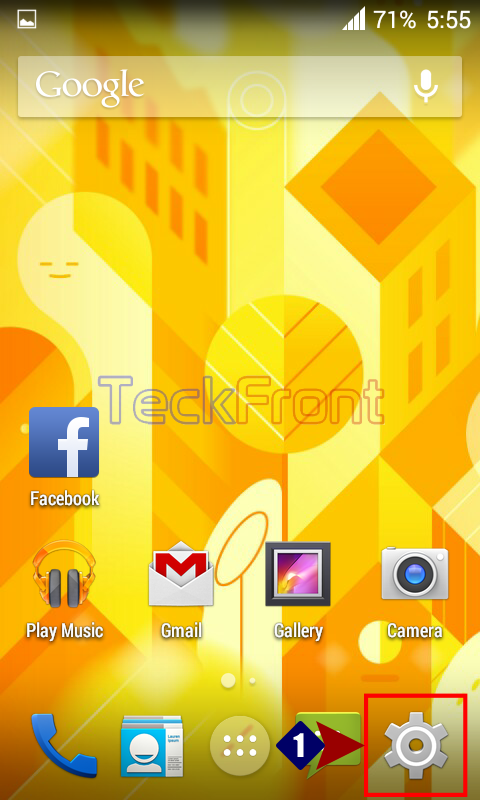 Tap the ‘+’ button at the bottom right corner of the screen to add new profile. It will open up a prompt popup, ‘New profile’. 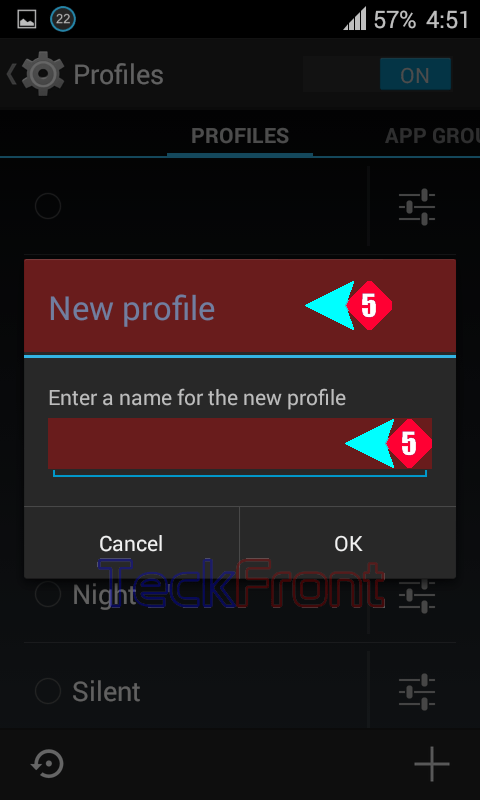 4: At the ‘New profile’ prompt, tap at the place with the instructions, ‘Enter a name for the new profile’. It will open up a keyboard below the ‘New profile’ prompt. 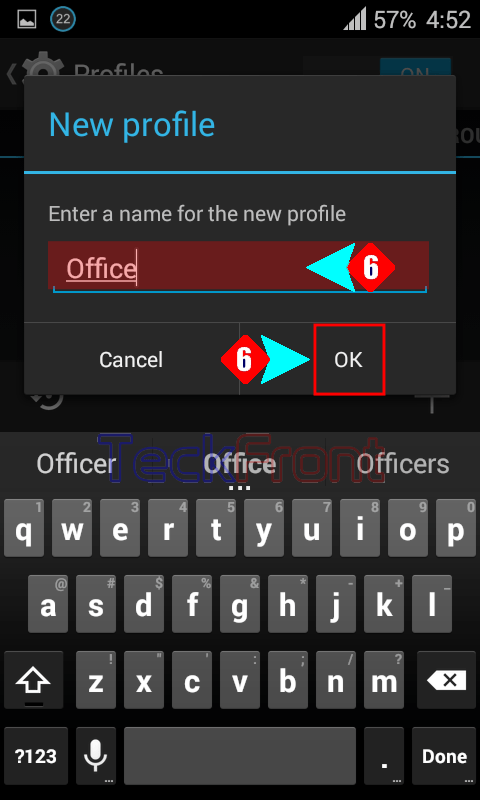 5 – 6: Write the name of the new profile, suggested by you (here I wrote ‘Office’), at the place given for the purpose and tap ‘OK’. It will take you, instantly, back to the ‘Profiles’ screen. 7: At the ‘Profiles’ screen, see the new profile is added at the bottom of the screen. 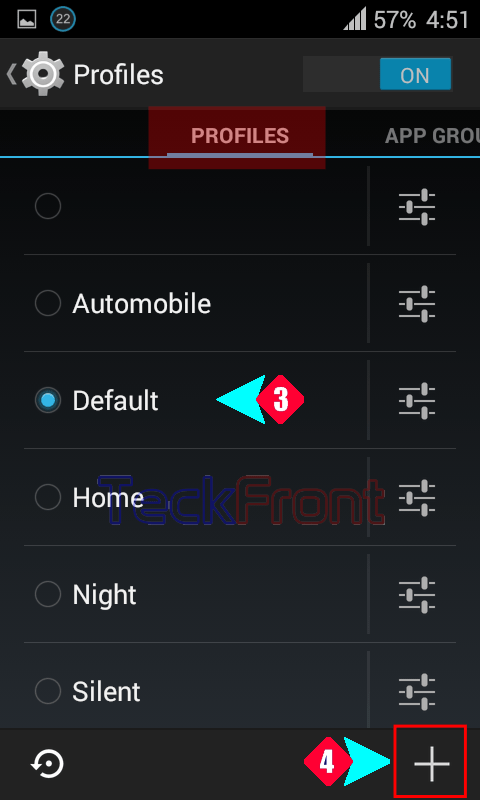 Older How to Set Screen-off Animation in Android 4.4.4 KitKat Phone?